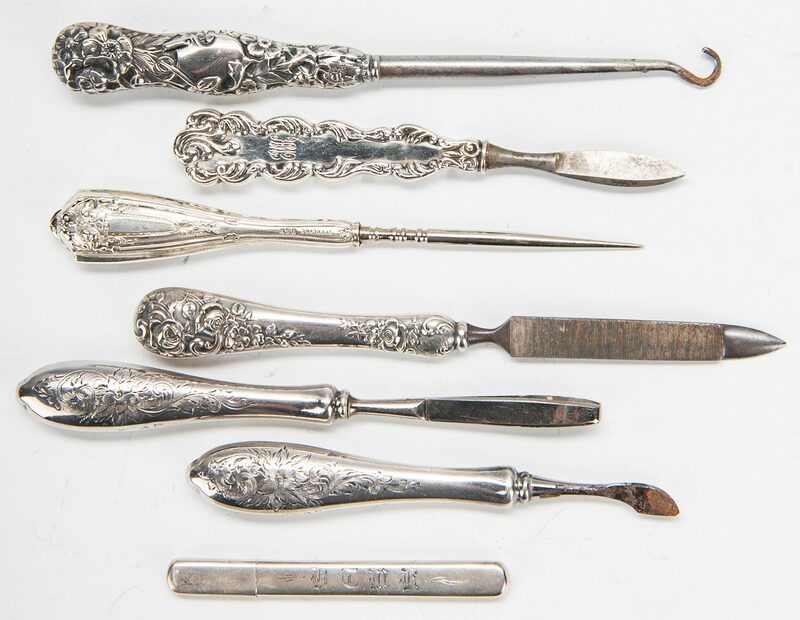 Group of small silver objets de vertu. 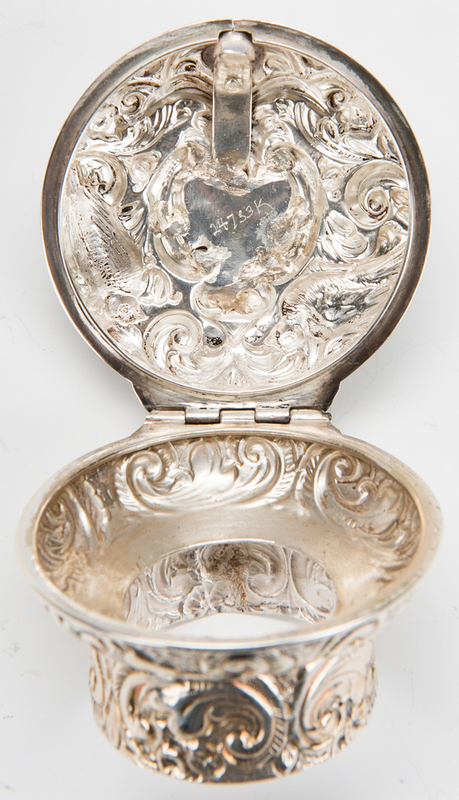 Includes 43 thimbles, 2 thimble cases, 11 salt cellars, 8 hinged patch/snuff boxes, 1 decanter lid with repousse decoration, 6 sultan hooks and nail files, and 1 needlecase, most marked sterling (2 large cellars with illegible marks, possibly Continental; a few other pieces unmarked). Combined weight all items marked sterling (excluding thimbles): 8.3 oz troy. CONDITION: Various monograms; scattered small dents. 2 salt cellars, 1 hook and 1 file with light corrosion/oxidation. 1 patch box significantly dented.